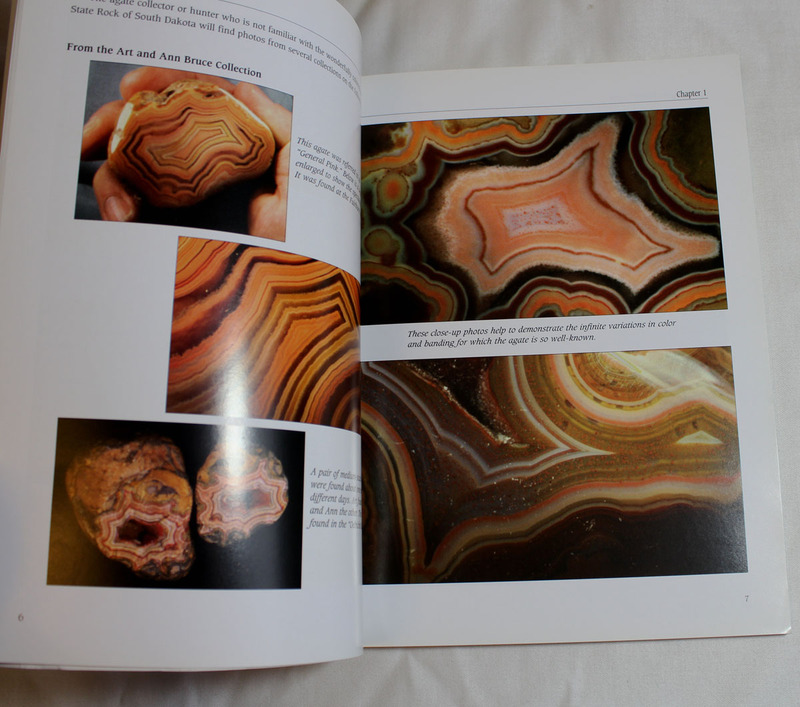 This book is a treasure trove for rock hounds and geologists! And for anyone who loves the beauty of Agate! Written by Roger Clark with photography by his wife, Mary Jane Clark, this book has information about the geology of the Black Hills and Badlands of South Dakota. 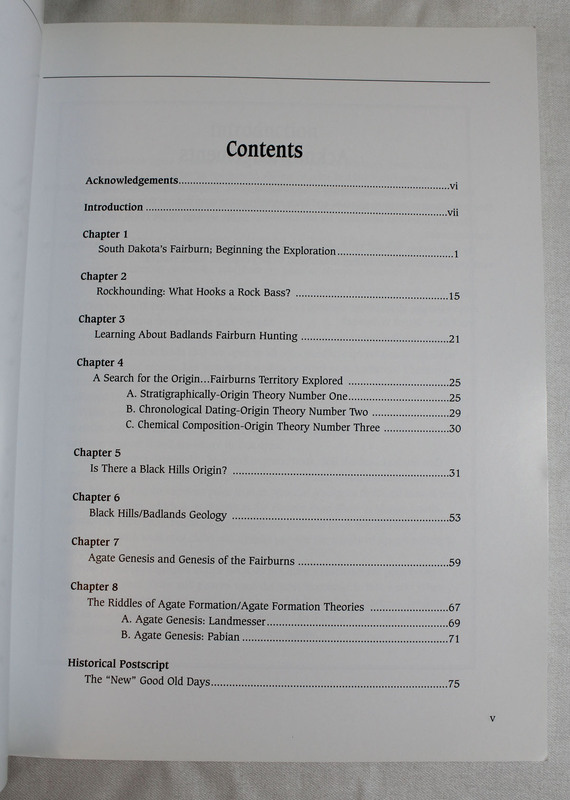 There is a chapter on agate genesis and genesis of the Fairburns. 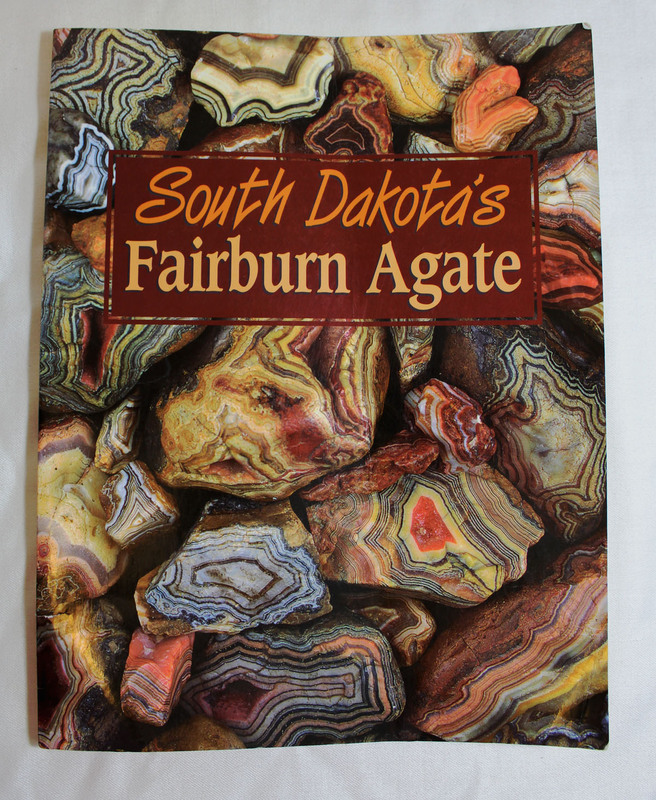 Another chapter covers agate formation theories. 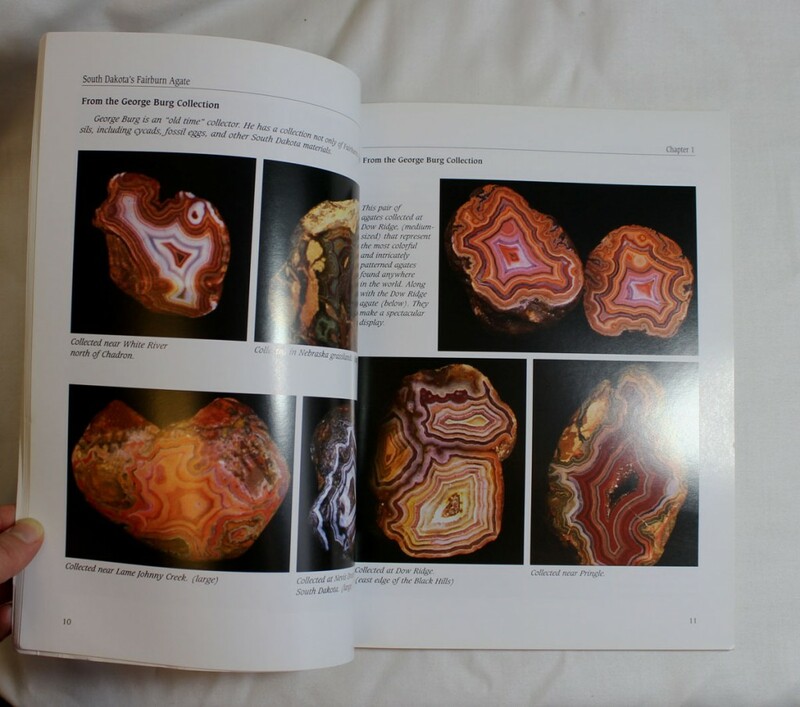 These two pages feature photos of agates in the George Burg collection. 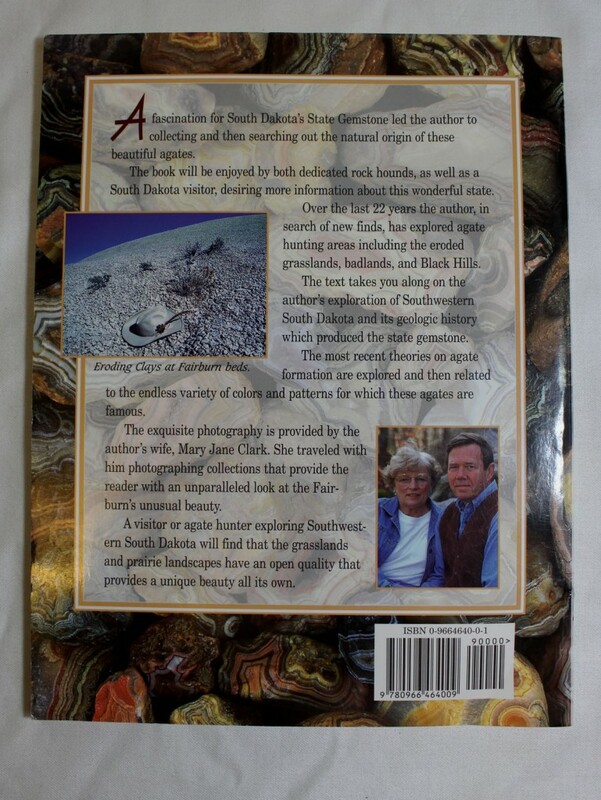 Take a look inside the agates found at Dow Ridge.